The new sanctuary seats 1,076 including 104 in the choir and 250 in the balcony. The design process dealt with a number of difficult, restrictive site issues and the new building takes full advantage of the limited property available. 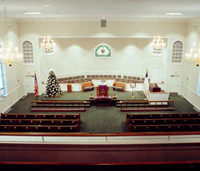 Completed in April 2007, the sanctuary was designed to enhance the natural acoustics and also includes state-of-the-art audio, video and lighting systems. New sanctuary seats 400 on the main floor, 78 in the balcony, and 47 in the choir. This project included demolition of the old sanctuary and construction of a new larger sanctuary on the same site. Two story Fellowship Hall and Classroom addition. 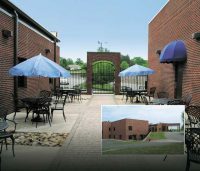 Project included an elevator, commercial kitchen, fellowship hall, classrooms, and youth areas. The new building matches the original building and was carefully designed to fit a steep site with difficult drainage issues. This building is the first phase in a multi-phase master plan. Two story Fellowship Hall and Classroom addition. Fellowship hall seats 320 for dinner and includes a commercial kitchen. The building also has an elevator, adult classrooms, children’s classrooms, nursery, snack kitchen, and entrance lobby. 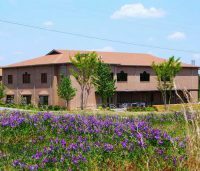 Family Life Center with Administrative Offices. 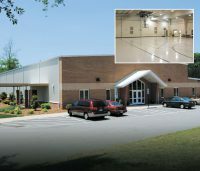 The multipurpose area is suitable for full court basketball, volleyball, fellowship meals, youth and children’s programs, and worship. The building also has adult classrooms, a full office suite for the church staff, a large kitchen, main entrance lobby, and covered drop-off area. Each April, Talley & Smith Architecture hosts the Enhancing Your Ministry Church Design and Construction Conference! 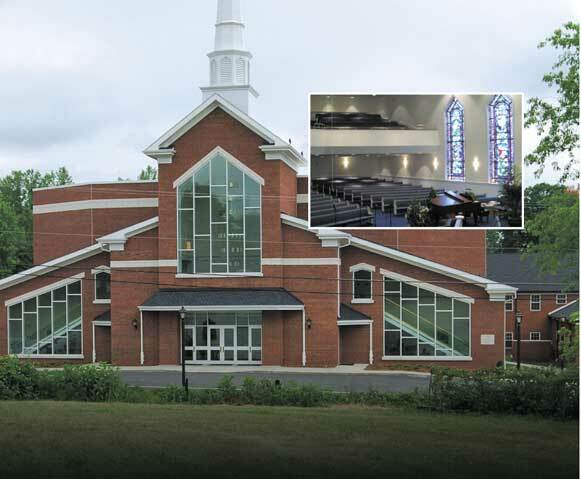 This one-day conference will provide churches with information about church design and construction. Attendees will gain valuable knowledge about new construction, renovation, addition, and master planning projects. Topics will include an overview of the project process, how to hire an architect, family life center design, church furnishings, project budgetting and financing, audio/video systems, and hiring a contractor.